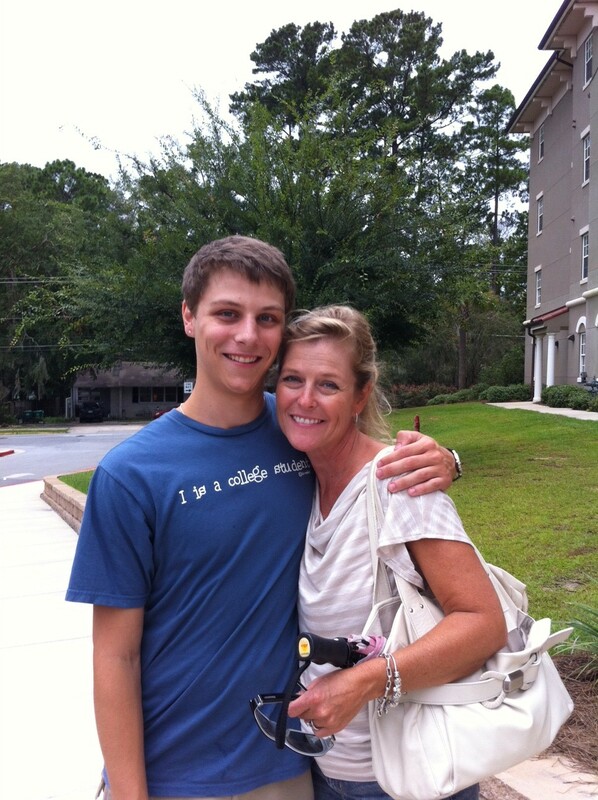 It’s been a month since my son, Matthew left for college. I had promised myself that I wouldn’t be a basket case and would not need a prescription for Xanax or several bottles of wine, although I purchased a few just in case. All summer I knew this day was coming but boy, it sure showed up faster than I expected. He drove down with his dad to the school the night before he was to move in, and I drove down the next morning with my parents so that they could finally see the campus. 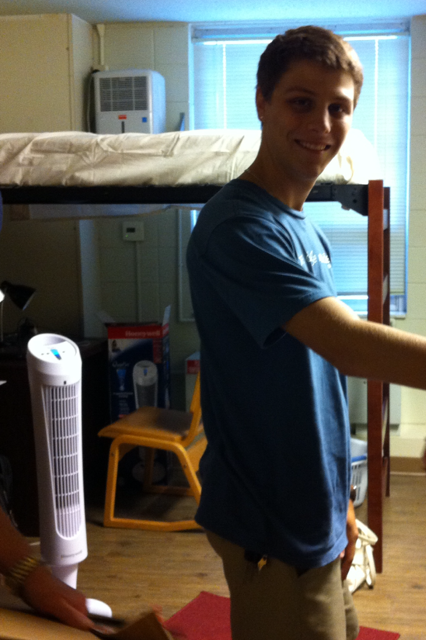 We got to his new dorm early and started moving his things in. I tried keeping myself busy by making his bed and unpacking his dishes and glasses. After about an hour, he gently touched my arm and said “Hey mom, I think I can handle it from here.” I forced myself to smile and suggested we go eat lunch instead. I held it together until I got in the car and then I just boo-hooed all the way back to Atlanta. I cried to the point where I had massive amounts of snot and I was running out of tissues and I was sucking in short, rapid breaths like toddlers do when they have a meltdown. But I made it. So day one came and went and I didn’t hear from him. Day two came along and I finally heard the familiar country song that plays as his ring tone coming from the bottom of my purse. I dropped everything and dug down into the black abyss that is my purse, searching for my phone. “Hey Mom! I have the funniest story to tell you…” and he went on to tell me about his first night on campus. We talked for a while and then he said he’d call me later in the week. My heart filled as he hung up with “love you Mom”. And so it goes. He is now one month into his college life and I have heard from him just about every single day. Every time I hear the first few notes of that country music song my heart double beats. And even though I don’t get to see him every day like I used to, in a weird way I am getting more quality time with him with each phone call. We are actually talking, not just saying hello like we used to when he’d come home and go straight upstairs. He tells me about his day – new friends he’s made, funny things that have happened, and we just talk in general. And I’m really happy with our new, mature communication even though I know the phone calls and text messages will slow down as he becomes more and more comfortable with living on his own. The house is quiet without him and I’m the one who ended up homesick, but I am proud to say that I didn’t need all of those bottles of wine after all. This entry was posted in Uncategorized and tagged college, communication, dorm, home, homesick, Mom, phone call, rush, school, son, text. Bookmark the permalink.